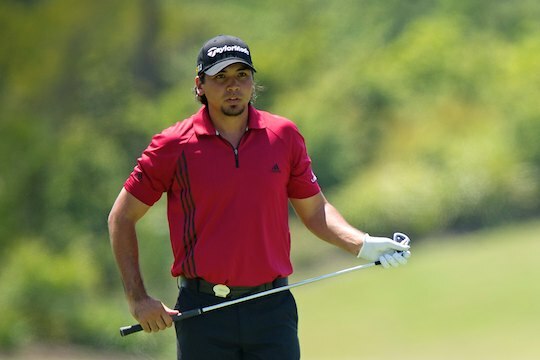 Jason Day faces a fight to be fit for golf’s next Major – the June 14th starting US Open. Australian hopes of finally winning at Augusta National got off on the wrong leg when Masters winning hopeful Day limped off on day two. It was obvious two days before the start of the season’s first Major something was wrong with the Queenslander as he wasn’t walking freely while practicing on the range. A jet ski mishap had seen talented Dustin Johnson become the first casualty and while Day was optimistic his left foot would be fine, he later withdrew. Day had finished a brilliant joint runner-up with countryman Adam Scott in the 2011 Masters and injured his left ankle in pre-Augusta training. However he battled his way to a first day 76 and was one-over through seven holes on day two when Day left the course. “It’s disappointing to have to withdraw from the Masters,” said Day. On course, Day’s plight was clear as early as the second hole when hit a 3-wood only to lose his swing and sending the ball well right of the target. His manager, Bud Martin, indicated it was too early to speculate how long Day might be out of action until his medical team assessed the damage, but expected he’d be resting up at least a fortnight. But while Day was at home with his pregnant wife and their four dogs at least his mind was in good shape thanks to signing with a new sports psychologist. Dr. Fran Pirozzolo used to work with former World Heavyweight great Evander Holyfield and it’s meant dumping former mental coach Neale Smith to work with Pirozzolo. Pirozzolo also is the Mental Skills Coach for the Texas Rangers Baseball Club after having previously worked with the New York Yankees from 1996-2002, a period during which the Yankees won four World Championships. From 1988-1995 Pirozzolo worked for the Houston Astros and with the Detroit Tigers in 2000. He was a training consultant for Holyfield, from 1990-1998 and has also published 14 books including “The Game I Love” written with former golf legend, Sam Snead. “I may not look like I’m up and down from the outside but those inside things I’m working hard on controlling – the negative thoughts, the positive ones, the anxiety and the excitement,” said Day.